Bitcoin is, in the public perception, a traditional form of finance that eludes governments and law enforcement all over the world. Media outlets tend to call the digital currency “impossible to trace”, even though all transactions are publicly listed on the blockchain in real-time. Cybercrime is a serious threat to citizens and companies all over the world, but it should not be associated with cryptocurrencies. According to wikipedia, in 2018, close to USD 600 billion were lost due to cybercrime. However, only 600 million, or 0.1%, from cybercrimes were due to dark markets according to a chainanalysis report. Another report states that cryptos worth USD 1 Billion were stolen from the crypto exchanges. That is 0.2 per cent more. So, over 99% of cybercrimes did not involve crypto coins at all. And to put it in perspective, credit and debit card frauds were over 1,5 billion in the U.S. alone. That is about the same as crypto crimes globally. In theory, bitcoin is a good tool for transferring value, as it cannot be blocked. However, because it is based on public ledger (all transactions are visible to anyone who wants to see them) it is not so good for criminals. The following cases demonstrate this. Last year, when crypto was still a hot topic, CNBC published an article with the headline: “New York woman pleads guilty to using bitcoin to launder money for terror group ISIS” that got a lot of publicity. However, bitcoin was not used for transferring the money to terrorists at all in that case. Normal bank transfers were used. Read the story here and see how CNBC picked the clickbait title. The article above also explained how a group of ICO scammers returned the bitcoins after they could not withdraw the coins from exchange. Here is another article in Wired how Silk road traders can be tracked down years after the trades because they used bitcoins. Now that bitcoin is more widely used, its transactions are also followed by several companies like Coinfirm, Elliptic, Ciphertrace and Chainanalysis. 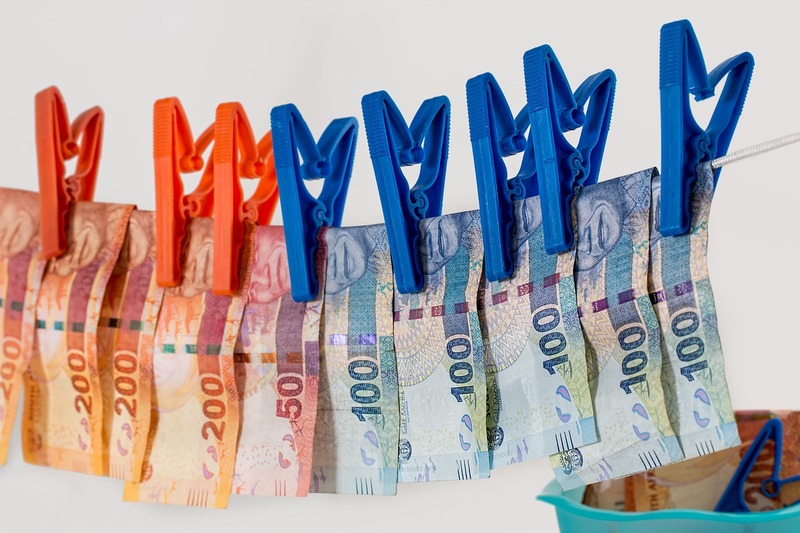 Research recently published by Elliptic also indicated a more than forty per cent reduction in the percentage of all bitcoin transactions associated with criminal activities since 2013 – estimating that transfers tied to illicit activities comprise just 0.61% of all transactions. In October 2017, a report commissioned by the UK government similarly concluded that virtual currencies posed a “low” terrorism financing risk which is “unlikely” to increase during the next five years. A funny detail from the Finnish media that came out few weeks ago. The United States Secret Service estimates that about USD 600 billion in counterfeit fiat US currency is in circulation at any one time. That was as much as what was the dark market’s yearly turnover. At the same time, there are no media reports about criminals counterfeiting Bitcoin, because counterfeiting Bitcoin is impossible. This is not highlighted in the media although cryptocurrencies have the potential to nearly eliminate the counterfeiting of currency. A big part of why the banks are opposed to bitcoin is that it is more effective (cheaper for users) in moving value from one point to other than what the banks can offer. It will eat their business, and that is why they will oppose it in every way they can. Check out my earlier post on how crypto currencies were going forward in 2018.